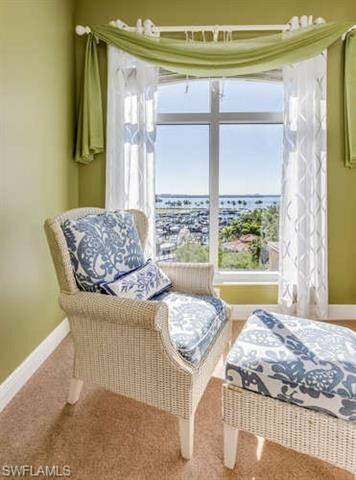 BEST PRICED FOR BEST VIEW of both Sunrises & Sunsets! 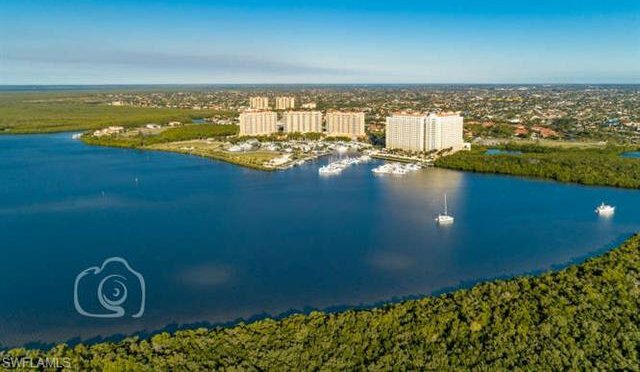 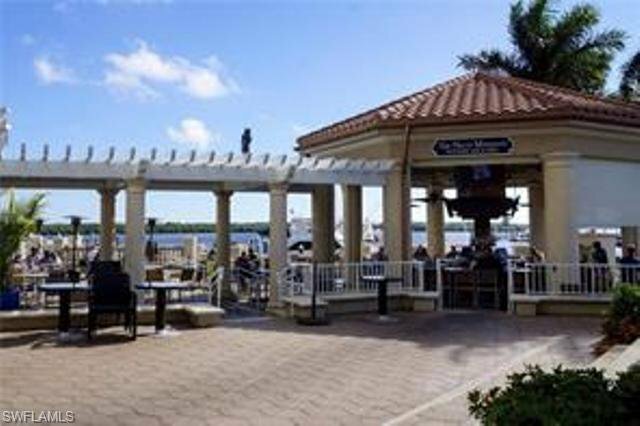 Start your day w/a cup of Joe or Mimosas overlooking the panoramic views of Tarpon Marina & Caloosahatchee River. 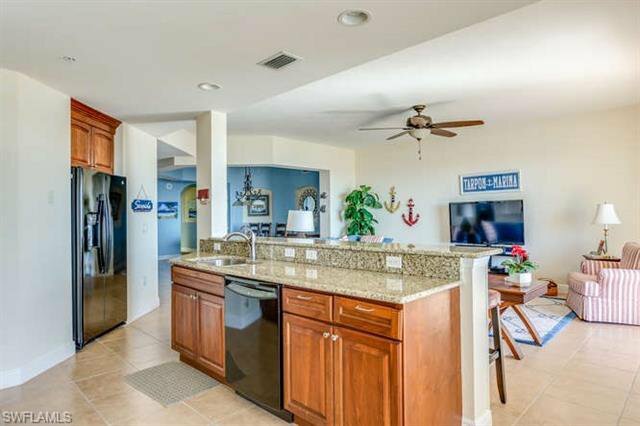 Wine down after a long day boating & toast the sunsets from your rear second balcony. 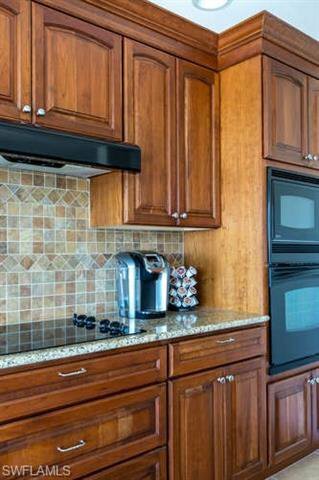 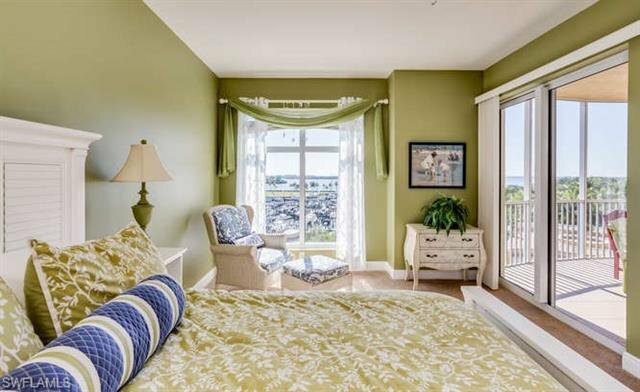 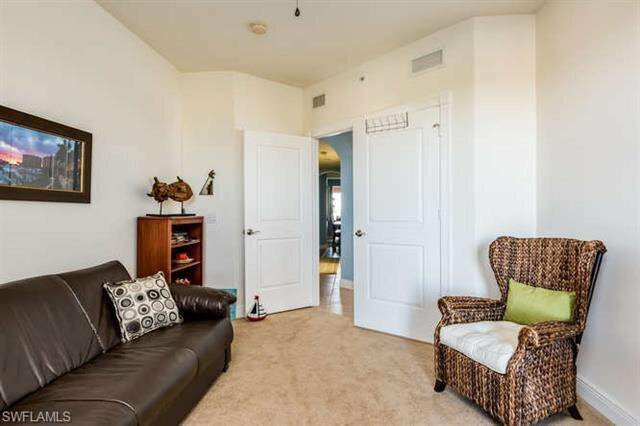 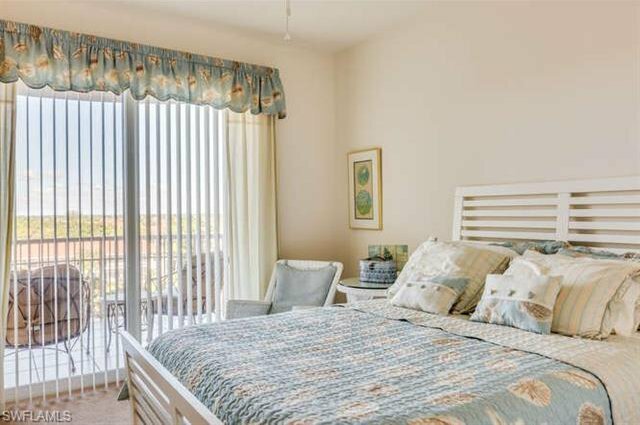 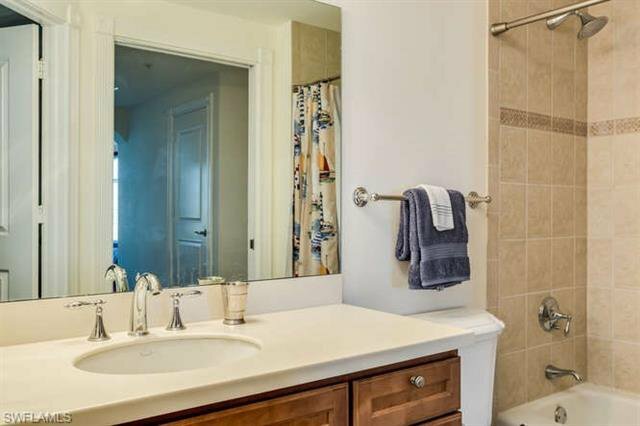 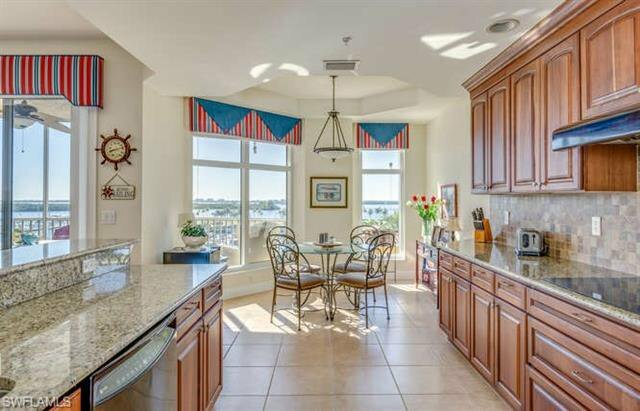 Enjoy the ease of condo living w/king size comforts of over 2,800 sq ft of Luxury home living. 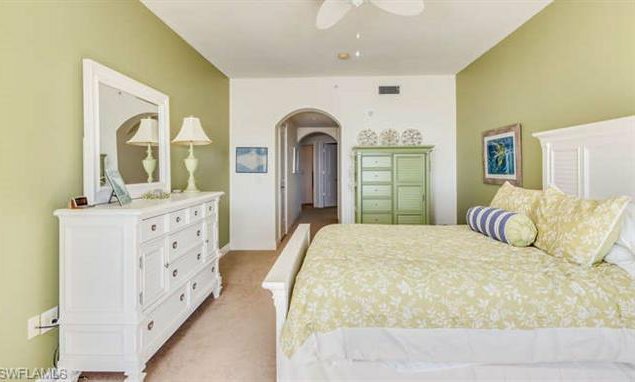 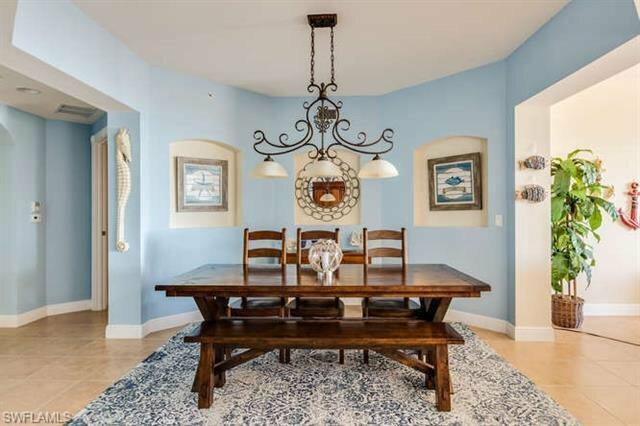 This sunny home comes "TURNKEY"" & decorated in a coastal beach theme w/the motto "I'm ready for vacation"! 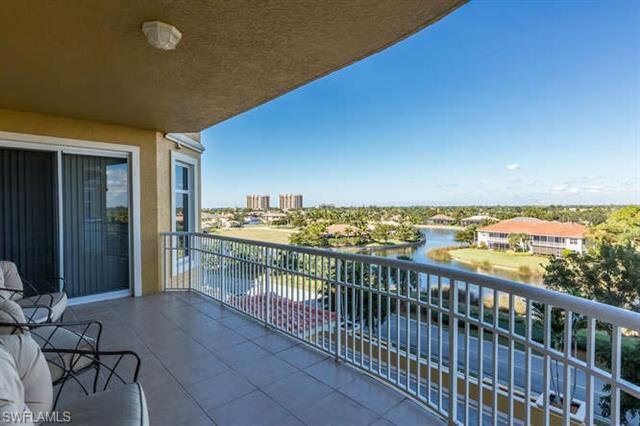 Fantastic Ever changing water views from both East & West sides & w/2 story parking below this home actually has awesome views from 5 floors up. 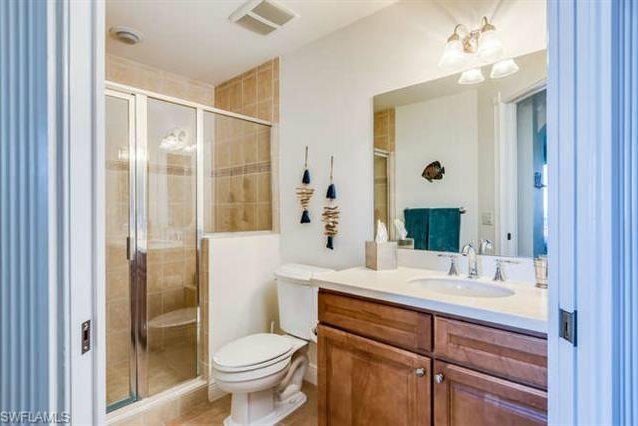 Nothing like this to be found in Lee County w/private 2 car garage + elevator right into your own foyer. 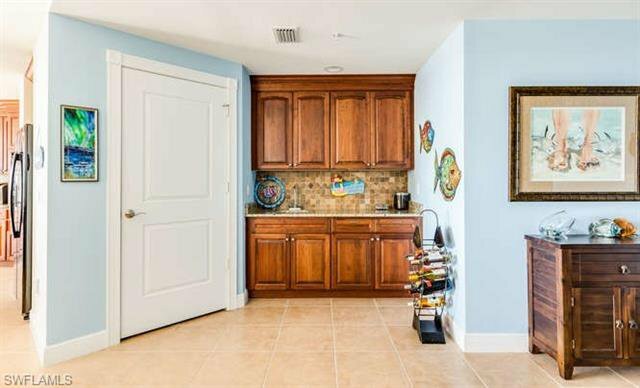 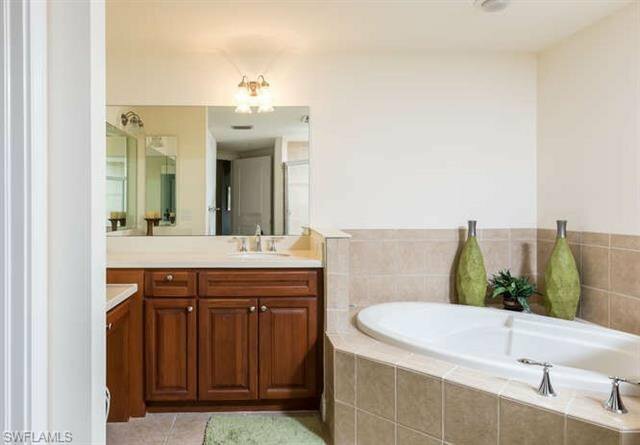 This home features Upgraded tall Wood cabinets & granite countertops, large pantry & built to latest standards w/tall impact sliding doors & windows. 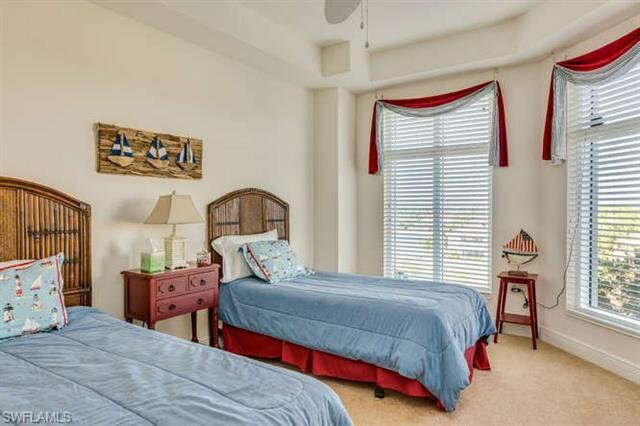 The spacious master suite looks out to the marina & river views & is well separated from 2 guest bedrooms both ensuite & den which have their own balcony to view the gulf access canals below. 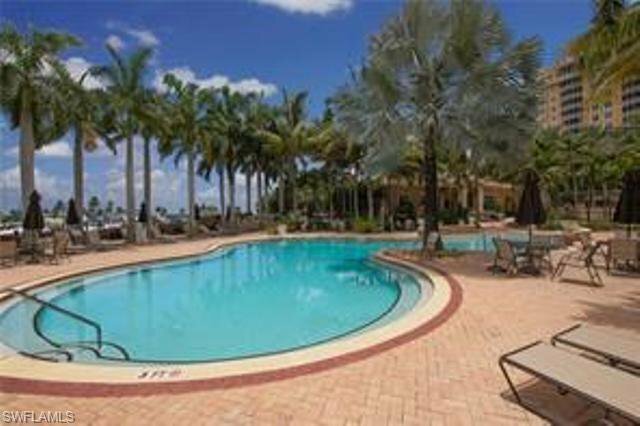 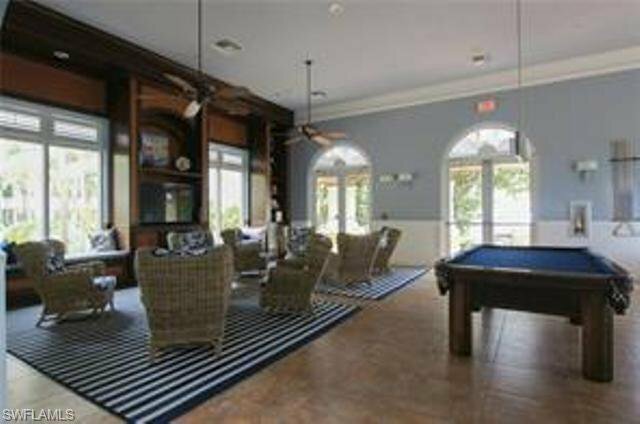 World class amenities here: 3 pools, fitness, clubhouse, marina & tennis. 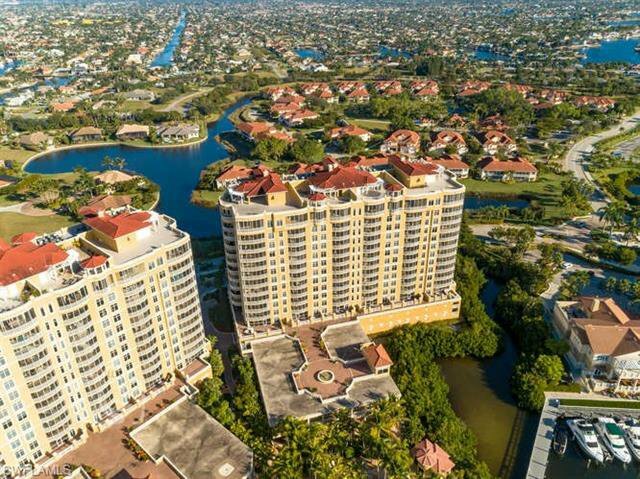 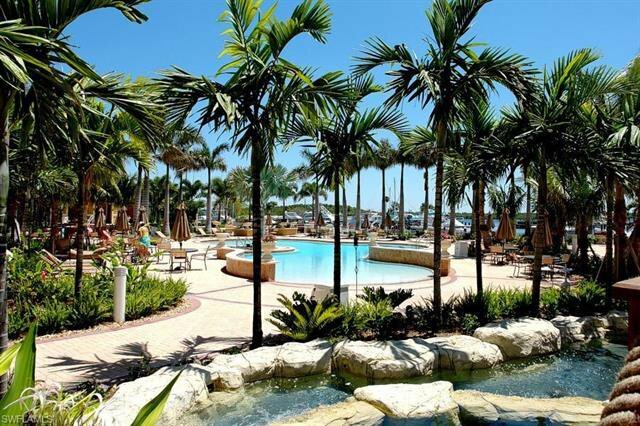 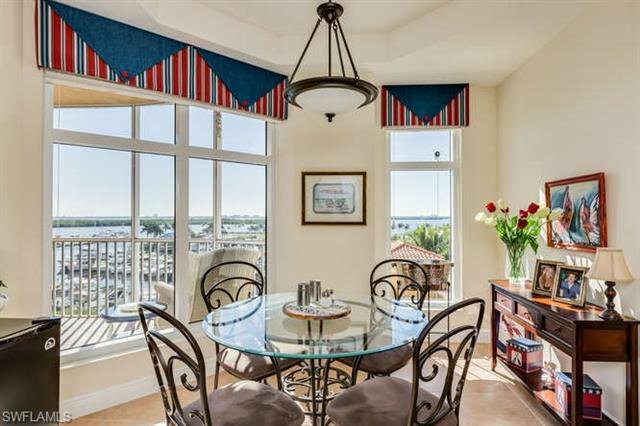 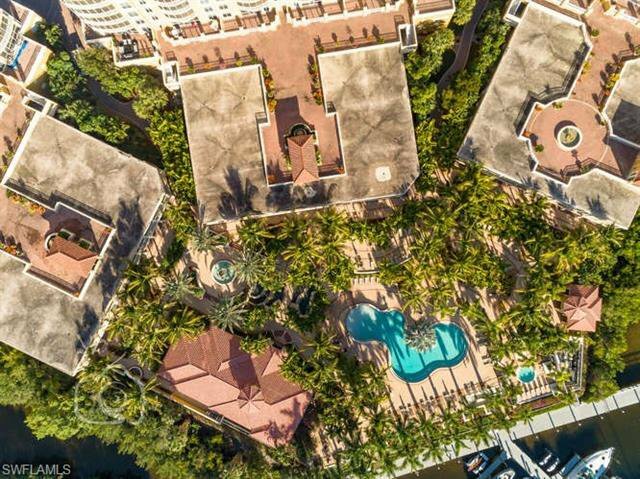 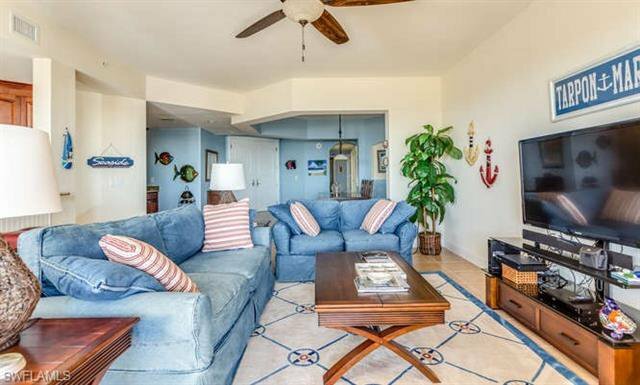 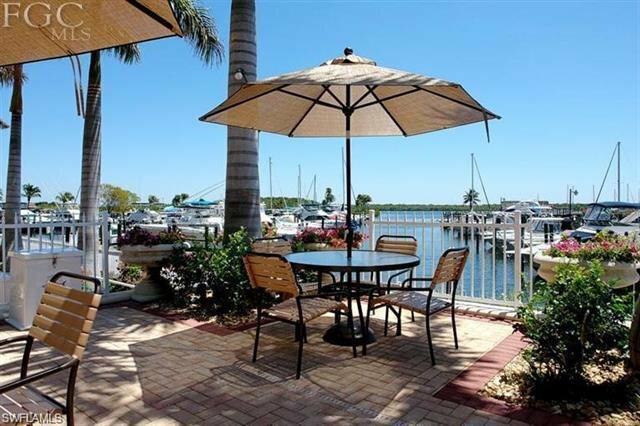 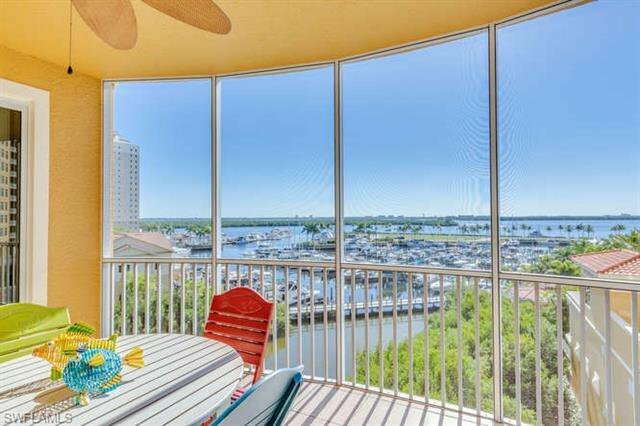 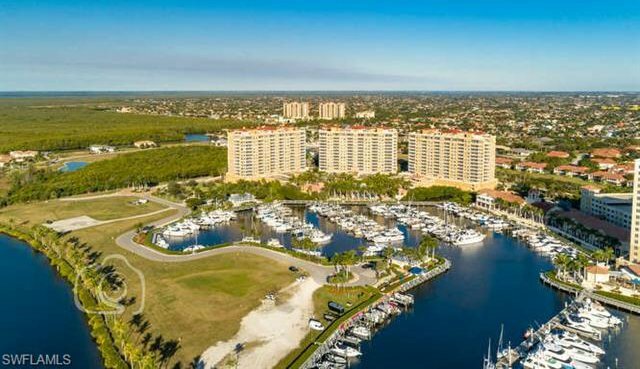 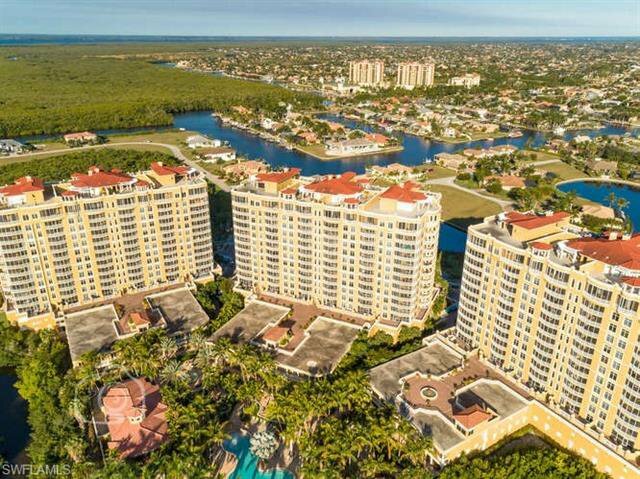 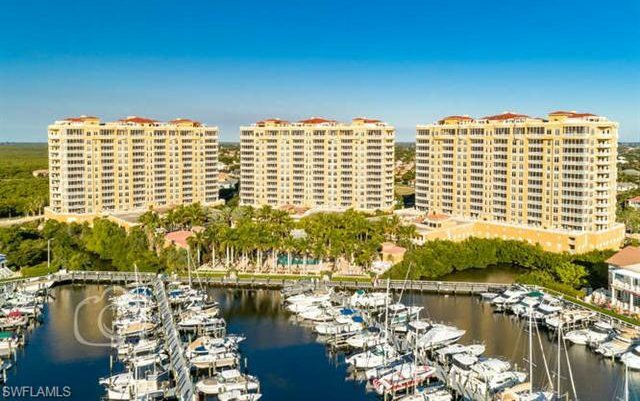 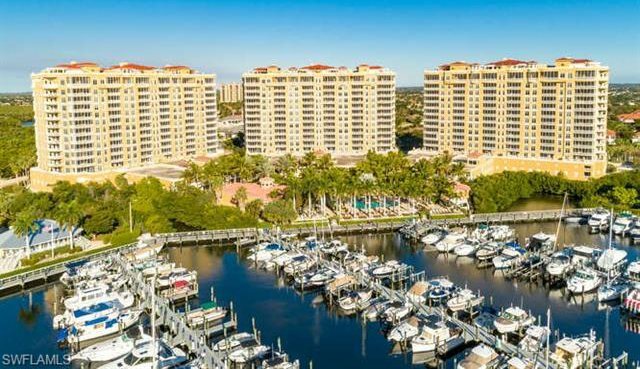 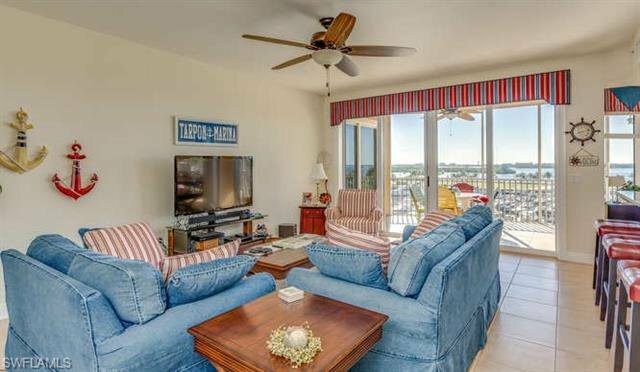 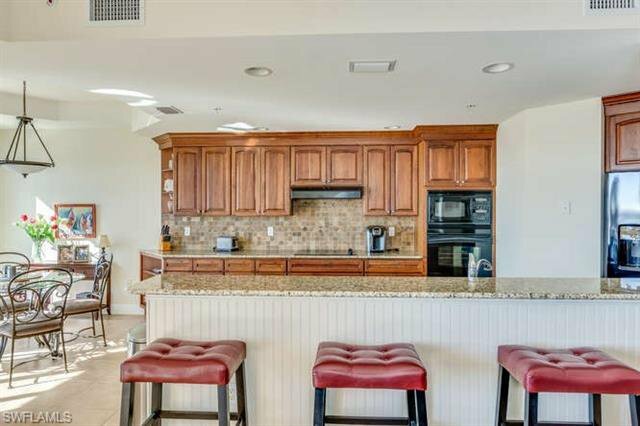 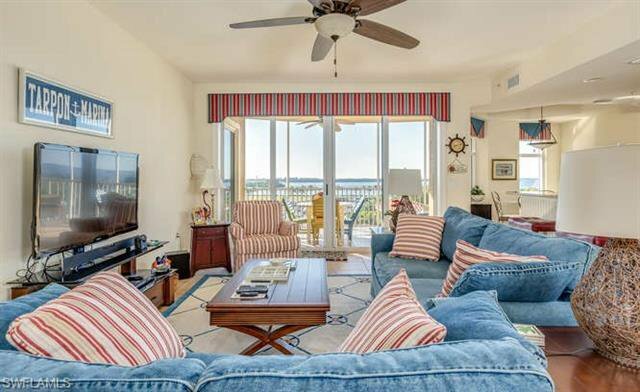 Enjoy nearby marina promenade w/shops, multiple waterfront restaurants. 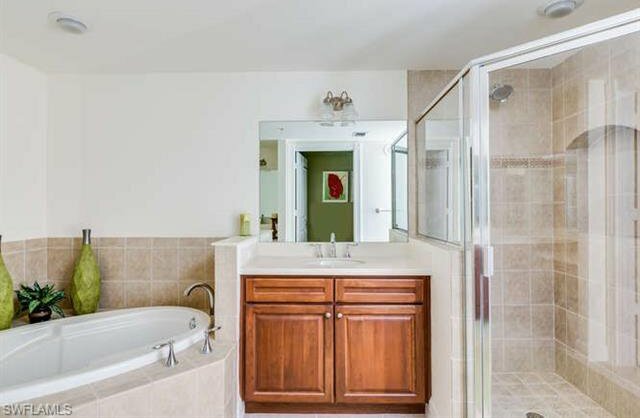 Listing courtesy of Re/Max Realty Partners. 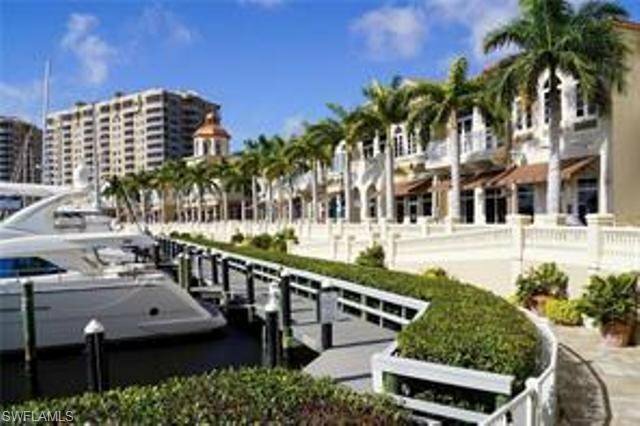 Selling Office: Tarpon Point Realty LLC.